"Aromatic Grass for Rapid Enlightenment"
Red Lemongrass Xiang Mao Essential Oil is refreshing when diffused or used in homemade cleaning products. Diffuse to uplift and purify the air of odor, place in the laundry to freshen clothes and pet blankets or add to your shampoo or lotion to moisten skin. This oil is highly valued in Taiwan as it has been traditionally used in folk medicine for its relaxation and calming properties. They have also used it to "enlighten the mind" and promote spiritual connection. Red lemongrass Xiang Mao Essential Oil is a grass which is grown in the mountain slopes of southeastern region in Taiwan, called Paiwan. The aboriginal Paiwan tribe that lives here known as "Big Bird" allows the harvest of this grass in cooperation with the Young Living Farm in Taiwan. Use to make your own green cleaning supplies, place in your bath or use in the yoga studio! What a versatile little oil to have in your gym or yoga bag. This section is a fun and easy reference guide for Taiwan Xiang Mao Essential Oil. It will tell you how to use it and what to use it for. It will also provide you with some fun suggestions, safety precautions for you and your pet! As I receive new tips and testimonials for Red lemongrass Xiang Mao they will be added to the page, so check back frequently! Want to Purchase Red Lemongrass Xiang Mao Essential Oil? Then go to The Oil Shop. 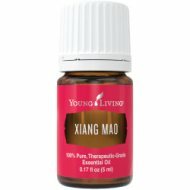 Purchase Taiwan Xiang Mao Essential Oil at the Oil Shop! Where is the Name Derived From? In aboriginal Paiwan, the name means "Aromatic Grass for Rapid Enlightenment"
Did you know that it has been used for thousands of years to enlighten the mind and promote wellness and vitality by aboriginal tribes in Taiwan? What are the Documented Red Lemongrass Xiang Mao Benefits and Uses? Calming and relaxing. Use in bath or diffuse. Meditation, yoga and spiritual connection. Cleaning and freshning air, sheets and pet blankets. What is the Aromatic Affect on the Mind? Its lemony scent is uplifting yet relaxing. What is the Spiritual and Emotional Influence? Taiwan Red Lemongrass Xiang Mao Essential Oil centers and relaxes the body and mind which eases spiritual, mental and emotional tension. As the third eye opens, awareness, intuition and focus increases and allows for clarity of thought and vision. Very good for meditation, yoga or transformational activities including emotional clearing work. What Chakra is Affected? This oil helps to facilitate harmony and energy between all the chakras. Can this Oil be used for Animals? Yes, I use for emotional release and comfort. The horses really resonate with this oil. It helps build their confidence and remember their roots which in turn is very soothing for them. What are the Safety Precautions? First, only use therapeutic grade essential oils! Xiang Mao essential oil has no known contraindications. Pregnant women should use this oil with caution. Did you know that Xiang Mao Grass grows up to 6 feet tall and is very fast growing? Did you know that Lemongrass typically has high levels of geraniol which has a strong lemon fragrance and neral a sweeter smell making both compounds attractive to perfumeries? Apply to skin or other moisturizer to moisten and nourish skin.